Pope Francis has a long-standing connection with Eastern Churches. As a student at a Salesian boarding school, he served the daily Divine Liturgy of a priest who is on the road to sainthood, Fr. Stefan Czmil. This Polish-born priest was ordained in 1945 among Ukrainian Catholic refugees by Bishop Buchko, because while doing his Salesian studies, he ended up outside of Poland when World War II ended. Poland was occupied by the Red Army and the Ukrainian Catholic bishops in occupied Poland were arrested and sent to the USSR. Father Czmil then ended up far away from his home, in Argentina, to teach and work among Ukrainian Catholic immigrants and refugees, and here he met Jorge Bergoglio. As archbishop of Buenos Aires, he was in charge of the Eastern Catholics in Argentina – of whom there were many – who did not have their own bishop: Armenians,Maronites, Melkites, Russians, Ukrainians. He took under his wing the young Ukrainian Catholic bishop, Sviatoslav Shevchuk, with whom he often concelebrated the Divine Liturgy. 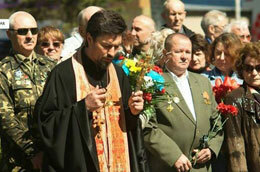 That bishop is now the Major Archbishop of the Ukrainian Greco-Catholic Church worldwide, and lives in Kiev. When the Holy Father was elected, the Patriarchate of Moscow sent a letter urging him not to support the “aspirations” of the “Uniates” (a term that has long been rejected by Eastern Catholics), presumably referring to the Ukrainian Greco-Catholic Church’s aspirations to establishing a Catholic Patriarchate based at Kiev. This week, His Holiness agreed to the elevation of the Curitiba eparchy in Brazil to the status of an archeparchy, with a suffragan eparchy in Prudentopolis with about 2 million faithful. This creates a Ukrainian Greco-Catholic metropolia in Brazil, a sign of significant growth of the Church there, one fully Brazilian while being fully Eastern. 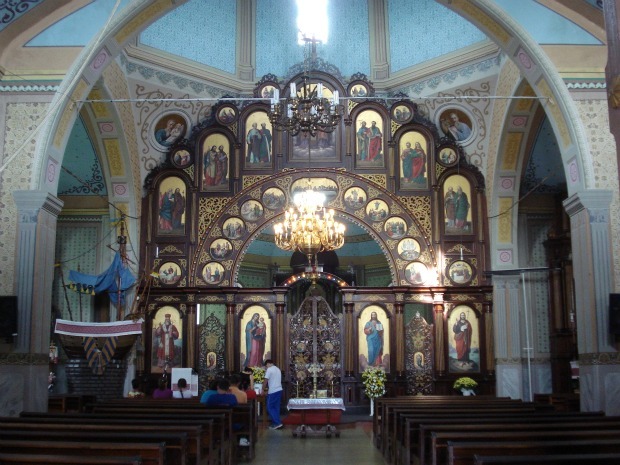 Ukrainian Greco-Catholics began settling in Brazil in 1896. Further, he appointed as his second secretary a Coptic Catholic priest from Egypt – the first time an Eastern Catholic has held this post! Msgr. Yoannis Lahzi Gaid will aid the Holy Father in his daily life, with such tasks as translating and answering personal correspondence in the Pope’s name. Msgr. Lahzi Gaid currently serves in the Secretariat of State and is known for reading the Gospels and summarizing the Pope’s comments in Arabic at his general audiences. He has also served as translator for the Pope’s meetings with Arabic-speaking delegates, including at his meeting with Mahmoud Abbas, president of the state of Palestine. He has lived for some time at the St. Martha guesthouse in the Vatican, according to Andrea Tornielli of Vatican Insider. He was born in 1975 in Cairo and is one of eight siblings. In addition to his native Arabic, he speaks Italian, French and English. I wonder if somewhere an Orthodox conspiracy theorist is going to come up with some propaganda about “Uniate” influence. The Mother of God remains very important to both Orthodox and Catholic Copts. The faithful of the Donetsk-Kharkhiv Exarchate are surely praying to Our Lady now after the farcical “referendum” last Sunday. People in the oblast had to put their marked ballots in clear plexiglass boxes, often had to mark ballots in front of the monitors, and had to wait in long lines because there were often very few polling places available. Predictably, Communist levels of support were reported: 84%. I am surprised they did not claim 90% or more. Supporters of union with the rest of the country generally stayed home. I am very impressed that 16% were able to vote No. The past practice by Moscow is to quickly accede to people’s voting, of their own free will, for Russian protection. So far it has not happened – perhaps Mr. Putin recognizes that this is a step too far. We can only hope. This young priest of the Moscow Patriarchate went to calm down anti-government militiamen in the town of Druzhinka and convince them to lay down their arms. For this, he was shot eight times, with one shot right in the heart. It is a monstrous killing by anyone’s standards. He apparently was known to the militias; Interfax http://www.interfax-religion.com/?act=news&div=11246 reported he gave spiritual counsel to the militias. What could possess anyone to murder a priest? Six Ukrainian Army soldiers were killed in a shootout near Slovyansk. The Luhansk People’s Republic governor was gravely wounded in an attack. Scores are dead in Odessa and elsewhere in these troubled oblasts. How much longer will this insanity drag on? Will Putin and his friends be responsible for more and more deaths, or will common sense prevail? Today in the Roman Rite is the feast of Our Lady of the Blessed Sacrament, the commemoration of the appearance of the Angel to the three children in Fatima on this date in 1917. The Angel prepared them with prayer and penance for the great events of October 13, then yet to come. There is no other solution for the West, the East, the whole world – prayer, penance, love for Mary and a return to God and to common sense.